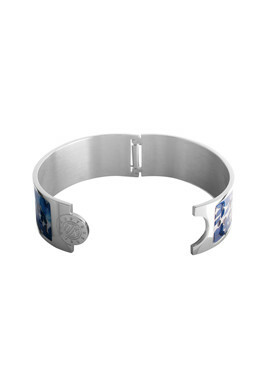 A classic bangle bracelet with hand painted enamel with a cool and timeless expression. The bracelet is adorned with the DYRBERG/KERN monogram and created in the season's most beautiful patterns and colorways. 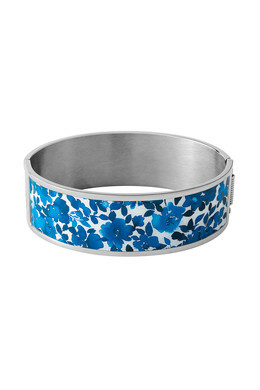 Here in a polished silver toned finish with a beautiful blue floral enamel. With spring closure.